Selling Images as Prints and More, Online. There was a time not so long ago when selling prints meant you had to either print your own or pay someone to print them for you. 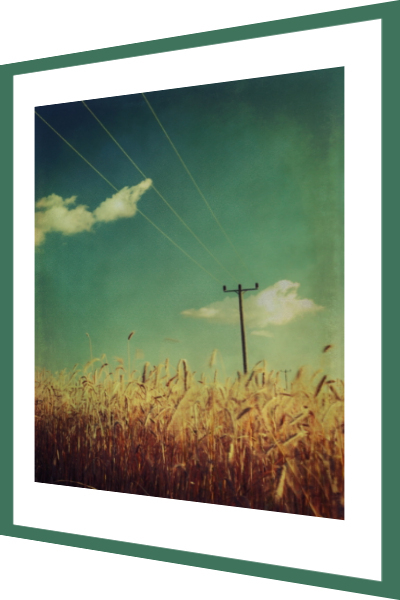 Now you can load your art up on to sites on the web who specialise in selling art as prints. Not missing out on opportunities to make money from your art, some of these companies will also sell your images as throw cushions, phone covers, greetings cards, t-shirts and more. In many ways these sites that host your pictures are like stock photography sites, they allow you to upload your art, they market their content to potential clients and take a cut of what you make from the sale. However there are a few noteable differences between the two. Firstly you can set your own price. A base price stops you from charging too little but you can go up above that to a maximum. Therefore you can decide what you think your work is worth. Of course if you charge too much you won't get any sales and in some circles, charging too little puts people off buying too. (The art world is weird like that) Another difference is that these sites do not examine your work for technical quality. Some request only jpg's, restrict colour space and set a maximum file size but they won't look at noise, sharpness, etc. Also, there is no concept of licencing of the work. Two of the bigger sites amongst the many that host print-on-demand services are Fine Art America® and Saatchi Art®. The latter will also sell limited-edition prints and original works of art, be that paintings, sculpture or photography. A recent discovery for me is www.redbubble.com®. It's much like the other sites where you load up your images and sell them as prints, framed prints, phone covers, t-shirts, dresses and many more but what they offer in addition is the ability to refine the design of the image on the item. During image upload the image size and position can be manipulated to make it fit the design of the item on which it will be printed. Some images or their shape don't always work with some of the offerings so these can be disabled and not offered for sale. The designs can be edited as many times as required at any time, not just when the image is first uploaded. Also very neat is the option to select which item you want to appear as the main image when the work appears in search results. So if the image on an dress is eye-catching then it perhaps makes more sense to use that. All of the other options appear under the main image when selected too. This refinement adds time to the upload process but the extra effort is worth it to show off the work at it's best. It also means you can experiment with the different products to see if they're selling better as one thing or another and to see what generates more interest. Getting your work online is very easy. First you create an account, read their terms and conditions, ensuring you're happy with this legal document before you sign up, upload your images, enter the description, keywords, a few other details and finally set the prices. As with all of these sites, keywording is important. Without them the work will never be found so these must describe the image well to give it a chance of being sold. To get paid these services are much like other online portals that use Paypal, pay by check (cheque in the UK) or bank wire transfer. I'm very new to offering my work in this way so I'm learning as I go along and to date I haven't sold any work. (Update February 2016 - So I've made my first sale. It's taken a year. I don't think I'm going to get rich just yet, but I take the approach that it's just one of many opportunities to sell my work. All my eggs aren't in one basket). A personal gripe about these sites is the lack of watermarking, or watermarking across less prominent parts of the image and also getting seen amongst the many other images competing for sales is tricky. Self promotion would seem to be encouraged and FineartAmerica does offer tools to do this. So far these are the only things I have found to dislike. It's up to me to add more work and look at how I can promote those images.